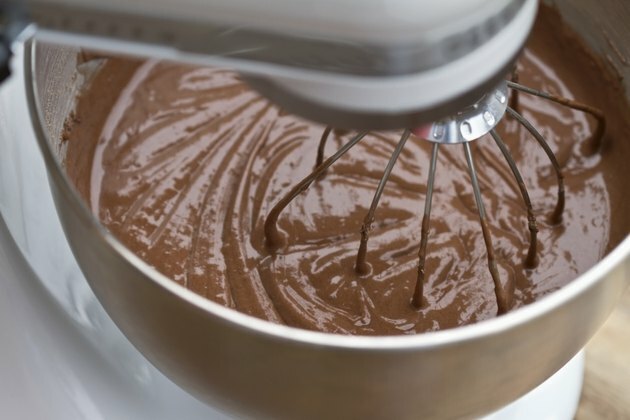 Can You Substitute Water for Milk When Baking a Cake? You have all been there. You've started the recipe, but when you go to the refrigerator to get the milk, someone else has gotten to it before you. Do you drop everything and run to the store or is substitution a possibility? When choosing to substitute an ingredient while baking or cooking, it's important to consider how the new ingredient will affect the dish's overall properties and the outcome of what you are making. That cool glass of milk that goes so well with your favourite cookies or sandwich is actually an emulsion of 87 percent water, 4.9 percent carbohydrates as natural sugars, 3.6 percent fats, 3.5 percent protein and 0.7 percent minerals, according to the Utah Education Network. This nutrient-rich food supports you physically through childhood and beyond and is also a common ingredient in many of the foods you eat. Each ingredient you add to your cake has a specific function. In a basic butter cake, creaming the sugar with the butter before adding either to the batter not only makes your cake sweet but helps add air to the butter and distributes its fat more evenly. This promotes a finer cell structure to the texture of the cake. Eggs add protein, flavour and color. Milk in a cake hydrates the dry ingredients, dissolves the sugar and helps the baking powder produce carbon dioxide to raise the cake. Milk's most important role in baking a perfect cake is the part it plays in making the batter wet enough for the chemical reactions to take place. In a pinch, if milk is not available, water may be substituted. To replace 1 cup of whole milk in a cake recipe, you can use 1 cup of water and 1 ½ tsp. butter. If you use a lower fat milk, such as 2 percent, decrease the amount of butter you add accordingly. While using the ingredients called for in the recipe is always best for the finished product, sometimes this is not possible. Most kitchens carry reasonable substitutions for basic ingredients, but careful consideration should be given to the outcome of your end product. In this case, substituting water with extra butter for milk should produce a cake with little or no noticeable differences. The taste, weight and texture of the cake should be similar, and there should be no crumbling or dryness if the recipe and baking times are followed. Can I Substitute Butter for Vegetable Oil in a Cake Mix? What Does Milk Do in Baking? How Do I Make a Cake Extra Moist?